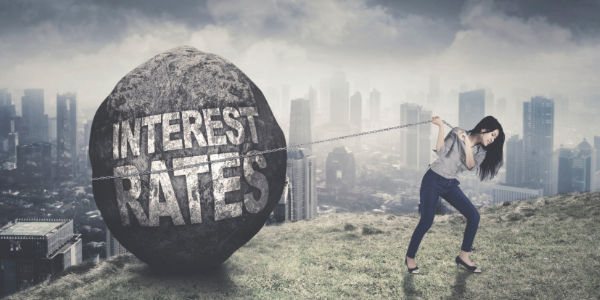 The Fed, interest rates, 10 year treasury yield – these topics make most homeowner’s eyes glaze over. But, we get questions all the time asking how interest rates affect buying or selling a home. if you’re entering the housing market, you don’t want to make decisions without an awareness of what’s going on. Here you’ll find a basic explanation of what these things are and how they might affect your next mortgage payment. There’s no need to feel anxious about whether now is a good time to buy or sell a home. The Federal Reserve is the US central bank. It fiddles around with monetary policy and the financial system of the country. The Fed does not directly raise mortgage rates. They influence the Fed Fund, set by the banks, by setting the rate they will pay repo treasuries and the rate they pay banks to park reserves at the treasury. When the banks can make more money by keeping their money in reserve, they don’t lend as much to each other. The first thing banks do once the Fed raises these rates is to raise their prime rate, which trickles down to rates that directly affect you and I. When an economy is strong, supply may not meet demand. This can cause the price of products to rise more than normal, reducing the buying power of a dollar. This is called inflation. Things like wage and cost increases can also contribute. To slow down this activity, the Fed can utilize tools at its disposal, including raising rates. On a side note, this is why “saving money” as a long-term strategy, instead of “investing money”, is not wise. $1 this year is only worth $.98, or likely less, next year. You need to earn a positive return on your money, every year, just to break even. Mortgage rates are most closely tied to the 10 year treasury yield; a low-risk investment guaranteed by the US government. Most mortgages, although 30 year fixed loans, are payed off or refinanced within 10 years, so both mortgages, packaged as securities, and 10 year treasury bonds compete for the same investors. Mortgages are riskier and return a higher rate than 10 year treasury bonds, but they are very similar financial instruments and follow each other closely. In a tight economy or recession, the Fed lowers rates which lowers the return of many investments. This makes the safe treasury bonds an attractive investment. Investors buy up the treasury bonds which lowers the yield rate and a drop in the mortgage rate follows. Generally, when the economy is strong, investors can get better rates with other investments and they stop buying treasury bonds. This raises the treasury yield and mortgage rates follow. Mortgage rates move in eighths or .125%. Usually, lenders will advertise rates such as 4.99%. This is an annual percentage rate (APR) and it includes other charges involved in the loan on top of the mortgage rate. How is the housing market affected? There is some debate about whether mortgage rates affect home prices. The general perception is that when mortgage rates rise, house prices drop to balance affordability. But, it isn’t a cut-and-dry correlation. Mortgage rates generally rise when the economy is strong, customer confidence is high, and unemployment is low. Home buyers have stronger buying power in these conditions and aren’t scared away by moderately rising rates. There even seems to be a period of increased home buyer demand when rates are rising. Some renters that were on the fence are now motivated to buy before the rate gets, what they perceive as, too high. Current home owners can be reluctant to trade in their low mortgage rate to wade out into the market to pay more for the same house and get locked in to a higher rate. Eventually, buyer demand and home inventory become stagnant and the market slows down. The timing and level of slowdown in coordination with rising rates is variable, however, and is extremely difficult to predict. Raising rates is meant to slow down an economy that is growing a little too quickly and this usually affects the housing market. Housing prices will eventually plateau and they can even drop a bit. But, real estate is the best investment one can make. It isn’t prone to the wishy-washy, drastic ups-and-downs of other investments. Over time, the real estate market has shown a consistent trend of steady appreciation, no matter what events occur to slow it down in the short-term. If you’re concerned about rising rates, don’t be. Barring a catastrophic world event, the rate will go down again in the next few years when the cycle starts over. You will have a slightly higher mortgage payment, if you buy with a higher rate, but that is nothing new. Home prices rise over time raising payments anyway and it is very difficult to time mortgage rates with events in your life and your desire to move. If you’re worried about buying a home at the top of the market, don’t be. Even buyers that purchased at the tip-top peak in 2007, right before the crash, regained equity within a few years. The above opinion pertains to those that buy a primary residence within their means. It’s not meant for speculators or those who take on a mortgage that is 60% of their monthly income. Make wise decisions after consulting professionals – and don’t take unnecessary risk.